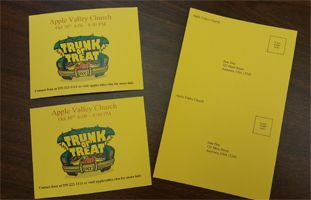 Burris Computer Forms has a wide variety of print-your-own products in fun fall colors to meet your needs. 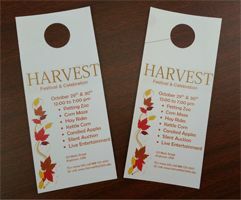 Door Hangers, Four-of-a-Kind Postcards, Jumbo Postcards, and Bookmarks can help your church, school or organization get out the message about your fun-filled fall events. You could also design a Bulletin or Brochure to hand out for your event to inform participants of location and times of activities. 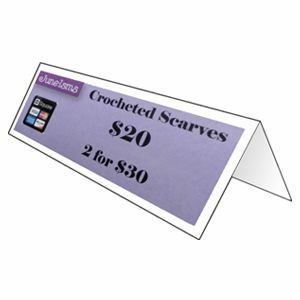 On the day of your event consider using PrinTable Tent Cards and Pop Cards for products, services and special promotions. Will you be having a bake sale at your event? 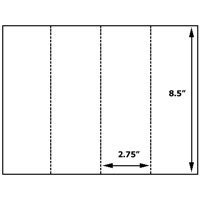 We have a large variety of Tags available to label your items with pricing, product descriptions and ingredients. Some of our fun seasonal colors include: Classy Cream, Goldenrod, Sockeye Salmon, Sunshine, Tangerine, and Wild Canary. Of course we also have standard white in a variety of weights and matte or glossy finish. 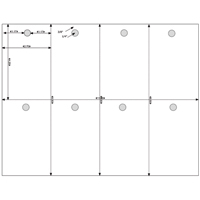 All our print-your-own products can be produced in the available color of your choice. Visit www.pcforms.com today to get some free samples or place an order. Feel free to call us at (800) 982-FORM (3676) and our knowledgeable, friendly staff can answer any question you may have!